AJ has been an integral part of the UK club scene for over 20 years. 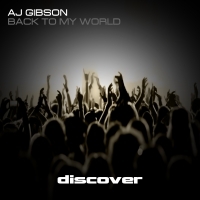 His most famous residency where he was one of the three founder members – The mighty GODSKITCHEN alongside some of the biggest names in the business. He also took part of the International tour for GATECRASHER. AJ has played every major continent (except the very cold one!) on numerous occasions. But this DJ is far from a one horse jockey - recognised as one of the most in-demand DJ's on the circuit by discerning promoters worldwide he has several other residencies to honour including, the other 'Big G' international club brand, Tonic (Ibiza ), Oxygen @Studio 24 (Edinburgh), Goodbye Cruel World @ Mosquito Coast (Leicester) and Tramps (Tenerife) as well as guest appearances and club tours Godskitchen (UK, South Africa, Malaysia, Greece, Turkey, The World), Slinky (UK, Malaysia), Dance Academy (Plymouth), The Syndicate (Blackpool), Passion (Coalville), Garlands (Liverpool), Fully Charged (Hull), Access (Dundee), Peach (Liverpool) Crazy Daisies (Rugby), ROAR ,Time Flies (Wales), Clockwork Orange, Enigma, The Met, The Coach (all Ireland), The Honey club (Brighton), Pams House (E Anglia), Progress (Derby), Frisky (Northampton), Hotdog (Nottingham), Freedom @ Bagley’s (London), He has also played at student events and university tours all over the country he is a firm believer in taking his music to those that wouldn't normally get the opportunity to hear him and welcomes bookings from countries with emerging dance scenes as well as those more inaccessible and exotic locations. AJ has worked on various projects with his now regular studio partner Scott Mac. 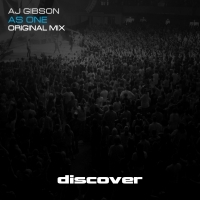 Their debut track Deprogression v's AJ Gibson "Twilight" was picked up by ATCR and received a many plays from Judge Jules on Radio 1 and is being signed to a Ministry of Sound compilation. His trademark GK sets of uplifting euphoric trance and harder edged, chunky, progressive house, plus an increasing demand for his fanatically funky sound, captivate audiences compelling them to jump around, scream and shout; bringing them together as one in their love of music. Watch this space this guy is back with a bang.